generates DSN Copys for the above DSNs. Here comes the quick and short PS commands to set up an anonymous relay. Be sure to edit the bold values to your own environment. The Bindings’ value you set to the network or server you want to relay. I recommend to create a DNS entry for this IP, too. After configuring you have to set your relaying servers’ configuration to this connector. 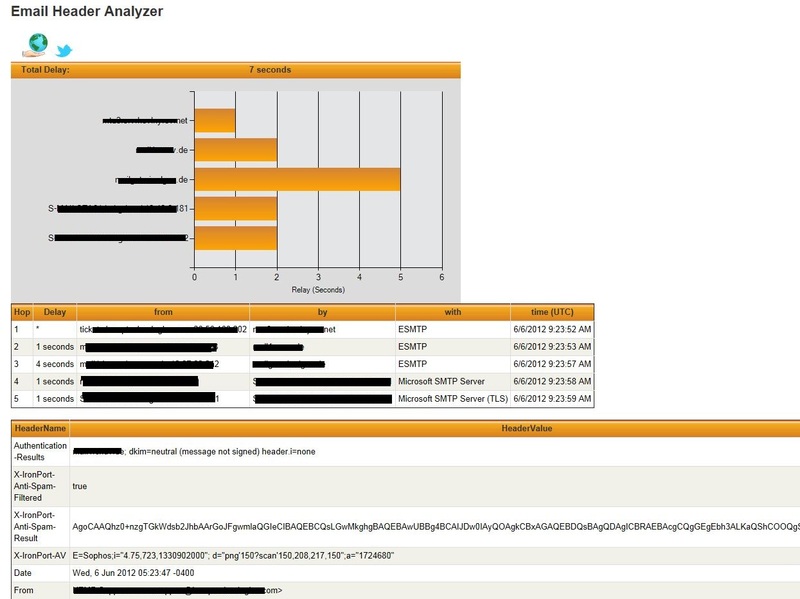 It’s often required to track the message flow in your Exchange environment. Of ourse, Exchange has it’s web-based GUI to track messages but it’s limited in function. You should use PowerShell to analyze mailflow in a detailed level. Output table formated. First, transport servers are selected. The result is piped into the main query phrase and filtered mathching the E-Mail subject. You could this output more detailed list-formated. 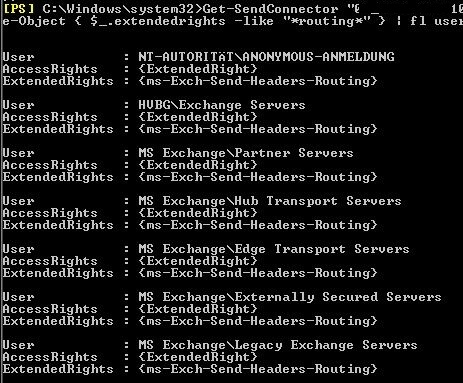 Filtering messagelog to track mails sent to a special domain.